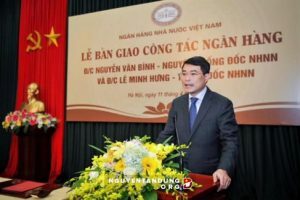 The Vietnamese Dong has been devalued five times from June 2014 to January 2016. It may be devalued further despite increased exports. There are many that have speculated that the 46 cent rate showing on the screens is an indication of the future currency exchange rate, however, this has been proven to be false. This article attempts to introduce new investors into the history of devaluation of the currency of Vietnam since early 2014 to the present day. The purpose is to show that there has been no indication that their central bank plans to revalue the currency. The State Bank of Vietnam devalued the dong by weakening its reference rate for the currency by 1 percent to 21,246 per dollar, according to a statement on its website late yesterday. The change, effective today, allows the dong to fluctuate as much as 1 percent on either side of the central bank’s fixing. The dong fell 0.3 percent to 21,310 as of 3:41 p.m. in Hanoi and touched 21,360 earlier, prices from banks compiled by Bloomberg show. That was the biggest drop since Aug. 22. The currency was last devalued, also by 1 percent, on June 28, 2013. The central bank has said several times this year that it aims to weaken the dong as much as 2 percent in 2014. The benchmark VN Index of shares closed down 0.5 percent. Vietnam’s policy makers are trying to bolster an economy that the World Bank estimates will grow 5.4 percent this year, slower than a government target of 5.8 percent. Last month’s violent protests following China’s placement of an oil rig in disputed waters halted production at foreign-owned factories and caused Chinese workers to flee. The government will closely monitor sectors that may be affected and take “suitable actions,” Deputy Prime Minister Nguyen Xuan Phuc said June 12. Government bonds fell. The benchmark five-year yield rose one basis point, or 0.1 percentage point, to 7.18 percent, according to a daily fixing from banks compiled by Bloomberg. The two-year yield climbed three basis points to 5.78 percent. “After adjusting the dong’s exchange rate, the State Bank will take comprehensive measures and use monetary tools to ensure the stability of the foreign currency market,” the monetary authority said in the statement. Vietnamese authorities will probably devalue the dong by another 1 percent this year, according to a research note today by Eugenia Fabon Victorino, an economics analyst at Australia & New Zealand Banking Group Ltd. in Singapore. The dong’s 1.3 percent decline over 12 months, compares with drops of 17 percent for Indonesia’s rupiah, 4.3 percent for Thailand’s baht and 2 percent for Malaysia’s ringgit. Consumer-price gains have stayed below 5 percent in the last four months, official data show. The government is targeting a 10 percent increase in exports this year to $145.4 billion. Overseas sales rose 15.4 percent in January through May from a year earlier. Vietnam had a balance-of-payments surplus of more than $10 billion over the same period, the central bank said in yesterday’s statement. The monetary authority has bought about $10 billion in the first five months to lift foreign-exchange reserves to a record $35 billion, it said. “Given that inflation was curbed to a low level in the first five months and the dong was kept stable over the past year, the central bank adjusted the dong’s exchange rate in order to help achieve the government’s economic targets,” the central bank said in the statement. While China is Vietnam’s largest trading partner, the country must reduce its dependence and develop a contingency plan to cope with any “hiccups, turbulence,” Vietnam Chamber of Commerce and Industry Chairman Vu Tien Loc said in May. Prime Minister Nguyen Tan Dung said in an interview last month that his administration had prepared evidence and was ready for legal action against the world’s second-largest economy over the placement of the rig. The central bank set the dollar rate at 21,458 Vietnamese dong Wednesday versus 21,246 dong Tuesday. Exchange rates for commercial banks are allowed to move within a 1% band around the central bank rate. The central bank said in a statement Tuesday night the rate adjustment was in line with the government’s development plan for 2015. The government targets gross-domestic-product growth of 6.2% and is aiming to keep inflation at 5% for this year. The country recorded GDP growth of 5.98% and inflation of 1.84% last year. Wednesday’s devaluation is the first since June last year, when the central bank devalued the dong by 1%. ANZ said it expects more devaluation toward the end of the year and that its foreign exchange strategists forecast the exchange rate may reach 22,050 dong by December. A strong increase in exports, largely by companies with foreign investment, helped drive Vietnam’s growth last year. Government data showed exports grew 13.6% to $150 billion in 2014. Mr. Thanh, however, warned that the devaluation on Wednesday may reveal that the pressure on the exchange rate is mounting. “The strengthening U.S. dollar and an anticipated trade deficit in 2015 could put more pressure on the dong later this year,” Mr. Thanh said, noting that the government is anticipating a trade deficit of $5 billion to $6 billion this year, compared with a surplus of nearly $2 billion last year. State Bank of Vietnam Deputy Governor Nguyen Thi Hong said last week the central bank will aim to keep the exchange rate stable in 2015, allowing it to move within a 2% band. The central bank weakened its reference rate 1 percent to 21,673 dong a dollar, effective Thursday, it said in a statement. The Vietnamese currency is allowed to trade as much as 1 percent either side of the fixing. The dong fell 0.1 percent to 21,673 as of 3:27 p.m. in Hanoi, according to data compiled by Bloomberg. Vietnam recorded its slowest expansion in overseas sales in the the first four months of the year since 2010. The dong has declined 1.3 percent in 2015, putting the country’s exporters at a relative disadvantage to those in nations like Indonesia and Malaysia, whose currencies have fallen 5.7 percent and 2.9 percent, respectively. Vietnam’s government is targeting a 10 percent increase in exports in 2015 to help achieve economic growth of 6.2 percent, compared with expansion of 5.98 percent in 2014. Overseas sales rose 8.2 percent in the four months through April and the country recorded a trade shortfall of $3 billion over the period, government data show. Shipments from manufacturers such as Samsung Electronics Co. boosted Vietnam’s exports by 13.6 percent last year. “The devaluation is not a bad thing because there is some deterioration in the trade balance,” said Irene Cheung, a senior foreign-exchange strategist at Australia & New Zealand Banking Group Ltd. in Singapore. The dong closed at 21,670 a dollar on Tuesday, near the 21,673 level that was the weakest it could trade at prior to the devaluation. It has closed within 0.4 percent of that level on every day over the last two weeks. “It’s a really good time to devalue the currency because the pressure on the dong has been holding up for weeks, or even months,” said Alan Pham, the Ho Chi Minh City-based chief economist at VinaCapital Group, Vietnam’s biggest fund manager. 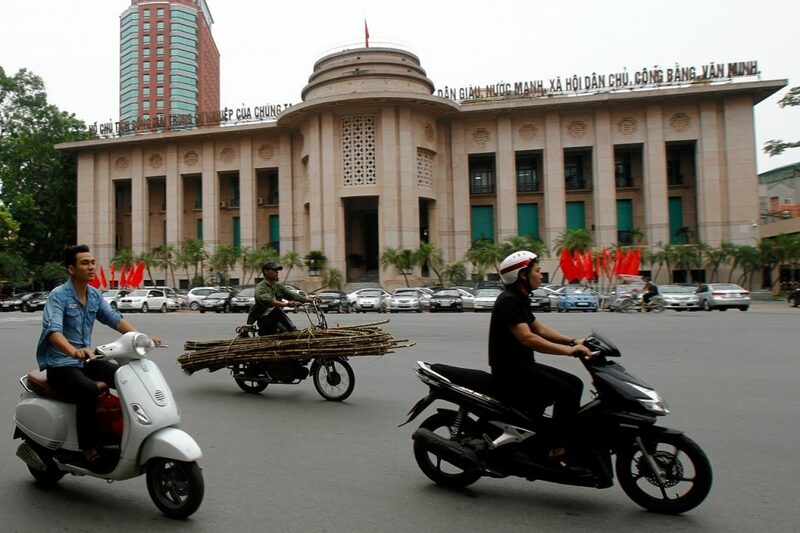 HANOI, Aug 19 Vietnam devalued the dong on Wednesday for the third time this year as authorities moved to bolster a languid export sector facing fresh challenges from a surprise devaluation of the Chinese yuan. The State Bank of Vietnam (SBV) said the intervention was also in anticipation of the U.S. Federal Reserve raising rates. It widened the dollar/dong trading band for the second time in a week, underscoring concerns a weaker yuan could further inflame bloated trade deficit. Vietnam’s economy is closely tied to its communist neighbour, with three quarters of bilateral trade worth $60 billion being imports from China. Global markets were alarmed when China devalued the yuan by nearly 2 percent on Aug. 11, with analysts fearing a further weakening over coming months and heightened worries of a global currency war. Vietnam lowered the official mid-point rate by 0.99 percent to 21,890 dong per dollar and widened the trading band for the second time in six days, to 3 percent from 2 percent. The SBV allowed 1-percent currency depreciations in January and May. ANZ analysts said the devaluation was more aggressive than expected, while HSBC Vietnam welcomed the quick response. The dong, among Asia’s most resilient currencies, dropped to 22,380/22,400 per dollar on the interbank market at 0344 GMT on Wednesday, off 1.3 percent from the previous day and down 4.5 percent so far this year. Gold rose 1.3 percent to sell at 34.62 million dong ($1,547) per tael in Hanoi. The weaker yuan has sparked concern of more Chinese goods flooding Vietnam’s market. Trade with China was in deficit of $19.33 billion in the first seven months of 2015, versus a $14.88 billion deficit a year ago. Export-reliant Vietnam saw shipments grow 8.9 percent in that period, below the government’s 10 percent target. The SBV said the dong’s exchange rate had “sufficiently large ground” to be flexible into next year. Cheaper Chinese exports could pose a challenge as Vietnam’s low-cost manufacturing sector competes with China for orders for clothing brands and electronics firms like Samsung and Microsoft, which has reduced operations in China and shifted some to Vietnam. 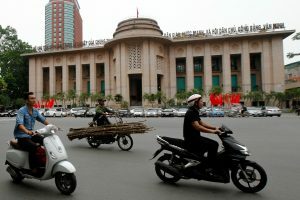 The State Bank of Vietnam reduced the dong’s reference rate for the first time since August, after saying over the weekend that it is moving to a more market-based methodology in setting a daily reference rate versus the dollar. It lowered the fixing by 0.03 percent to 21,896 against the greenback on Monday, after the currency sank to the limit of its permitted trading range in late December. The monetary authority had kept the rate unchanged since Aug. 19, when it cut the fixing by 1 percent and increased the currency’s trading range to 3 percent on either side. That followed another band widening on Aug. 12. The central bank also cut the reference rate by 1 percent in both January and May of 2015. The currency ended 2015 at 22,495 per dollar, 2.7 percent weaker than the central bank’s Dec. 31 reference rate of 21,890. It closed little changed on Monday at 22,505. The move comes as tightening monetary policy in the U.S. boosts demand for the greenback and a depreciating yuan drags currencies lower across Asia. The dong’s 4.8 percent loss last year compares with slides of 19 percent for Malaysia’s ringgit and 10 percent for Indonesia’s rupiah, the region’s two worst-performing currencies. Supporting the exchange rate has come at a cost to the Vietnam’s foreign-currency reserves, which tumbled by $6.7 billion to $31 billion in the third quarter, according to Trinh Nguyen, a Hong-Kong based senior economist for emerging Asia at Natixis SA. The new methodology will calculate the daily reference rate based on a weighted average of dong prices in the interbank market the previous trading day and prices of eight major foreign currencies at 7 a.m. in Hanoi, Bui Quoc Dung, head of monetary policy at the central bank, said at a briefing in the city on Monday. The eight currencies are from the U.S., China, European Union, Japan, Taiwan, South Korea, Thailand and Singapore, he said. The State Bank will also introduce three-month forward sales of U.S. dollars to commercial banks at the daily rate plus an additional 1 percent, Dung said. Commercial banks will be allowed to cancel their forward contracts during the three-month period, he added. The rate will also reflect domestic and international money-market developments, the central bank said in a statement over the weekend, adding that it is willing to sell dollars to stabilize the money market and ensure the dong can fluctuate within its trading band. It didn’t release a statement on Monday. Further devaluations will be listed on this page. Click here to return to the Global Currency Reset homepage.